What's up with AMD Ryzen 2 Reviews: 2700X Faster Than 8700K in Games?! 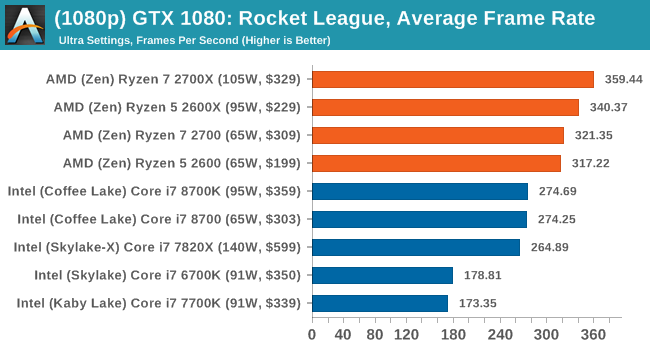 Home>Analysis>What’s up with AMD Ryzen 2 Reviews: 2700X Faster Than 8700K in Games?! With the embargo finally lifted, the Ryzen 2 reviews have come pouring in. AMD’s newest chips are right at what was predicted, but there are some anomalies as well. Some reviews seem to paint a different picture than others, leaving many people confused. So let’s discuss some theories and possibilities about what’s going on. As we’ve already seen in preliminary reviews, the flagship Ryzen 7 2700X overclocks to around 4.2GHz with the two-core boost of up to 4.35GHz. In terms of performance, the chip does great in heavily multi-threaded workloads, like professional applications as well as game streaming. 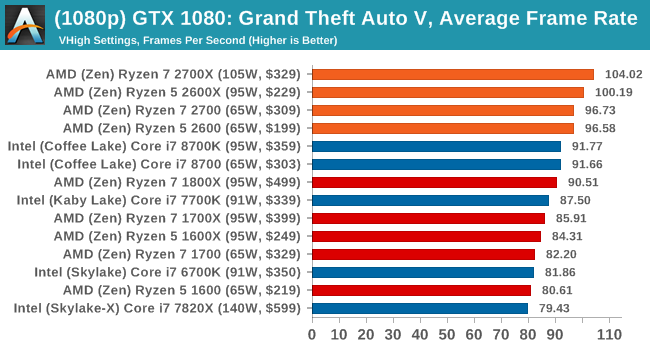 But, Intel still tends to win the overall gaming crown. With that said, if you’ve looked at more than one reviewer, you may have noticed some very different results for these new AMD chips. There are a couple of sites that have Ryzen 2 winning practically everything. How could that be? To understand this, the first thing you want to do is to read the methodology and test setup of each review because they can be quite different. Simply put, there’s a ton of variables when it comes to benchmarking and not every reviewer does think the same. It’s also best to look at exactly what you plan on using the chip for as well as what hardware you’ll pair it with. For example, more mid-range GPUs will be the bottleneck before a mid-range CPU. So if you’re running a mid-range GPU or at high resolutions, gaming benchmarks for CPUs won’t be as important. Then you’d want to figure out what else is important to determine what to buy. 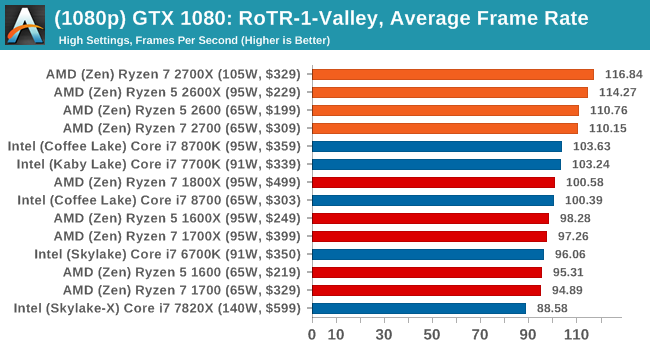 This brings us to the biggest outliers, namely a couple of reviewers — including AnandTech — that show AMD’s 2700X destroying the 8700K and everything else in its path. Many users blame it on the Spectre 2 patch that was recently released by Intel, but that seems unlikely. 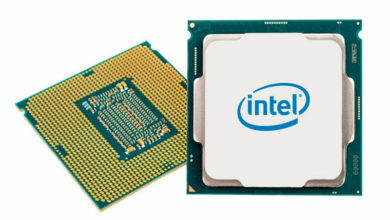 There is no way Intel will allow a patch to go through that practically cripples their eight-gen processors. Yes, I understand that exploits have to do with branch predictions which will impact performance but I highly doubt it could impact it to this extent in games. 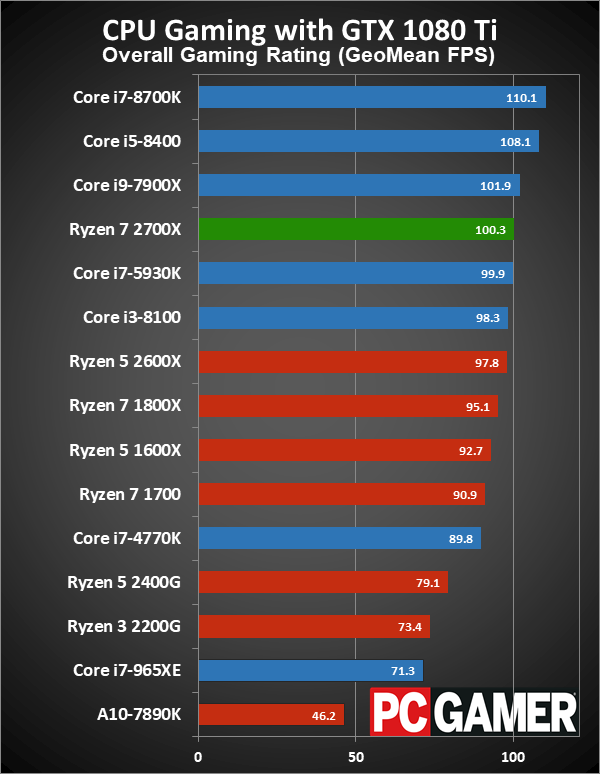 In fact, Intel isn’t doing any worse than the last time AnandTech reviewed them, but it’s actually the Ryzen 2 processors that are doing far better than most any other reviewers. We can assume it to be a mistake but some others at least find somewhat similar results. So what in the world is going on? Unfortunately, we don’t know for sure. 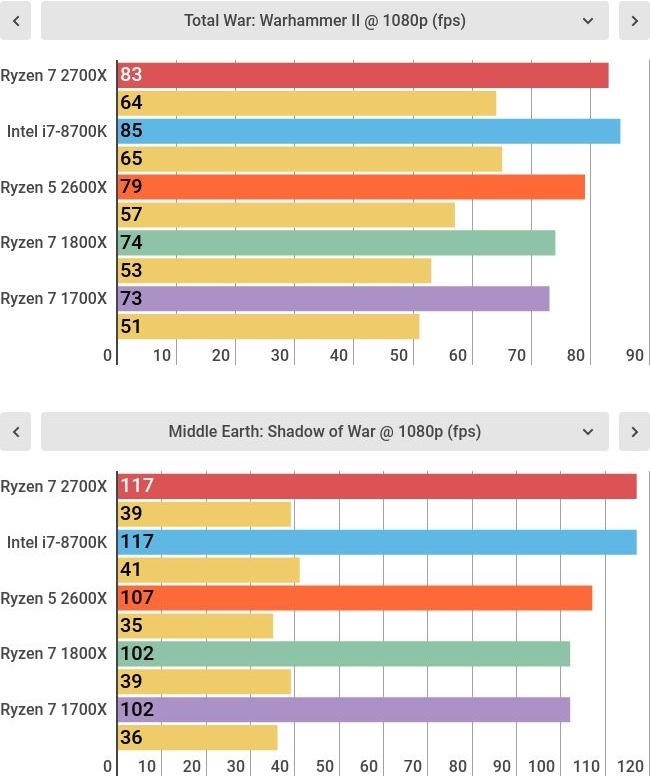 Some point to the fact that AnandTech used a higher frequency RAM on Ryzen, but they only used it because that’s what each system was rated for. Others think it may have to do something with the Ryzen Balance Plan, though why isn’t it affecting the first-gen Ryzen then. The thing is the difference in performance is simply too big to justify any of these possibilities. Of course, I could be wrong but my point is to not get overly excited. Just make sure what you’re planning on doing with your chip and decide accordingly. Or, just wait and see what happens in the days ahead. AnandTech has promised to review everything and figure out what’s going on. I’m sure we’ll find out what’s going on with some other reviews like TechRadar’s, as well. 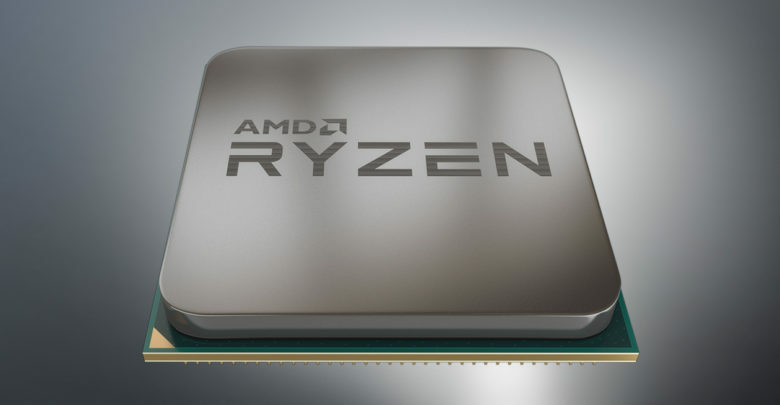 Either way AMD’s new processor series is a worthy rival to Intel’s 8th-gen CPUs. What do you think is going on with these odd Ryzen 2 reviews? Let us know down in the comments below.